High Quality Content by WIKIPEDIA articles! 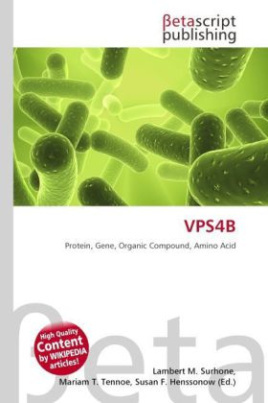 Vacuolar protein sorting-associated protein 4B is a protein that in humans is encoded by the VPS4B gene. The protein encoded by this gene is a member of the AAA protein family (ATPases associated with diverse cellular activities), and is the homolog of the yeast Vps4 protein. In humans, two paralogs of the yeast protein have been identified. The former share a high degree of aa sequence similarity with each other, and also with yeast Vps4 and mouse Skd1 proteins.